Bread and butter. Fish and chips. Statler and Waldorf. 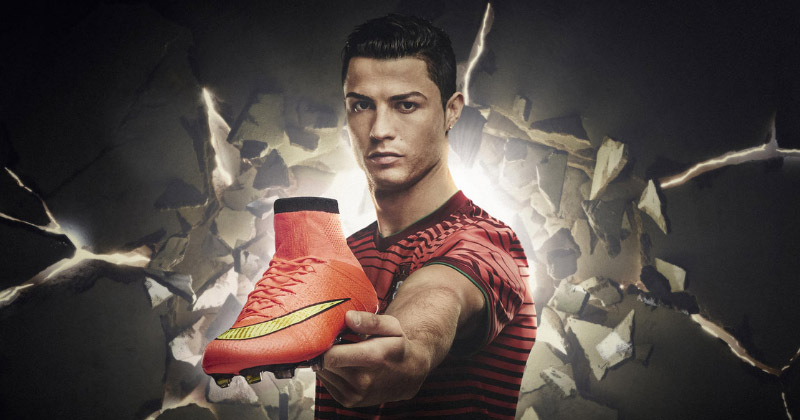 That’s right- Cristiano Ronaldo and the Nike Mercurial are up there with the strongest of double acts. Ever since he pulled on the Mercurial Vapor for Sporting Lisbon, Nike’s most popular silo has been with the Portugal captain every step of the way. Now celebrating 15 years together, Ronaldo and the Swoosh are embarking on another fresh chapter in their partnership, as the best player on the planet hopes to set Serie A alight with new club Juventus. Whether or not Ronaldo will be able to emulate his unbelievable Real Madrid form still remains to be seen. However, one thing we can all agree on is just how far he’s come in the past decade and a half; now completely unrecognisable from the young, skinny winger that first made his name in the Portuguese capital. That was back in 2003, in a time where Manchester United dominated the Premier League and Pavel Nedved was regarded as the best player on the planet. Even back then, though, it has always been the Mercurial for Ronaldo. Ronaldo made his debut for Sporting in a pair of Mercurial Vapors, spending the rest of the season switching between gorgeous gold and chrome colourways as he began to settle in amongst the pros. His impact was instant; his influence in these boots clear for all to see. In fact, he performed so well against United in a pre-season friendly, he immediately earned a switch to Old Trafford. Under the guidance of Sir Alex Ferguson, Ronaldo developed into one of the greatest players on the planet. Arriving in England amongst of flurry of step-overs and dazzling runs, Ronaldo’s loyalty to the Mercurial never wavered, with the flexible designs allowing him to make the most of his eye-watering pace and agility. He went on to wear the Mercurial Vapor II and III over the next few years, while he also showed off the latter during the 2006 FIFA World Cup, which was arguably the point in his career when everyone realised just how good he could be. And how damaging a simple wink can prove. But it was in 2008 when Cristiano Ronaldo finally announced himself as the best player on the planet. Rocking a pair of Vapor IV boots, Ronaldo seemed to be the main beneficiary from the updated design, with the enhanced ball control and agility seemingly lending him supernatural powers. He ended that season with 33 goals, a Champions League trophy and his first ever Ballon d’Or award. Ronaldo and the Mercurial were unstoppable. In fact, they still are. Along with Zlatan Ibrahimovich, Ronaldo became the face of the brand-new Mercurial Superfly in 2009, which is what he was wearing when he finally made the switch to Real Madrid. Moving for a then world-record £80 million, even the most ardent of CR7 supporters could never have predicted just how far he’d go. Breaking records left, right and centre, the Portugal captain went on to clinch another four Ballon d’Or and Champions League triumphs, firmly asserting himself as one of the greatest to ever play the beautiful game. 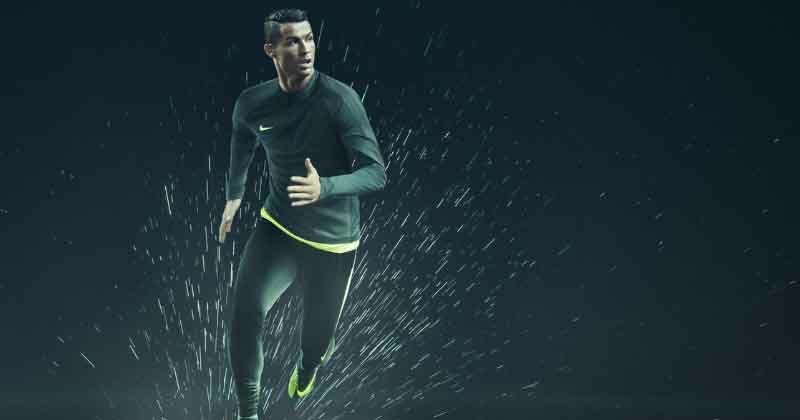 But at the heart of all of the stunning performances, endless trophies and unbelievable goals, the Nike Mercurial has remained Ronaldo’s faithful companion. 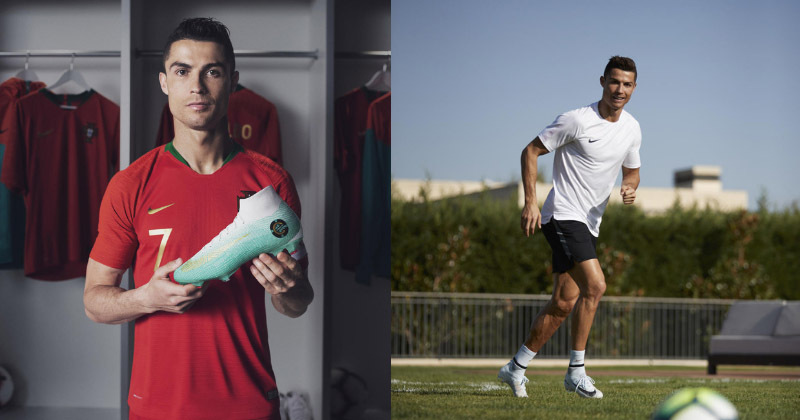 In recent years, the Swoosh have even paid homage to the Portugal legend with his very own signature ‘CR7’ collection, with each design celebrating the key chapters of his career. 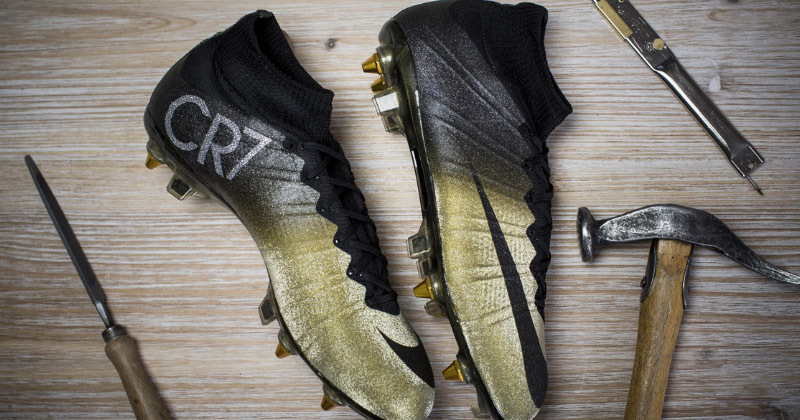 Right now, he’s wearing the new Superfly VI designs, hoping the next chapter will be just as successful as the last. You can compare prices on all CR7 football boots right here at FOOTY.COM, regardless of whether you’re playing on the pitch, the astro turf or the street.